Sylvia oversees the Global Education Office, which administers study abroad and exchange programs, hosts incoming exchange students, manages the Cross-Cultural Communications summer program at W&M, administers $400,000+ for study abroad scholarships, and support the university's internationalization efforts through global education. She works closely with faculty and departments to advance global education programs and initiatives at the university and to make global education experiences as accessible to students as possible. Sylvia plays a leadership role in partnering with faculty, staff, and administrators to deepen curricular integration of international opportunities as well as broaden the range and scope of international partnerships through new program development. She is also involved with program assessment, cross-cultural student development, and outreach. Sylvia is a W&M alumnus and returned to W&M to work at the Reves Center in 2010. As an international student herself, she has first hand knowledge about the impact of being immersed in another culture. 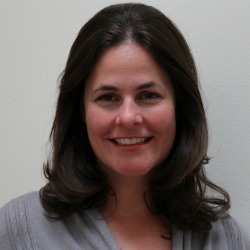 She previously served as the Director of Overseas Studies, Technology at Georgetown University. Before her career in global education, Sylvia worked with policy institutes abroad and in Washington, DC. Areas of inquiry include immigration and refugee policy, education policy, and biotechnology policy.